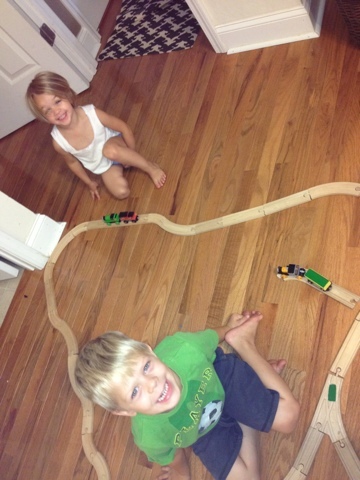 Here are my two little cuties setting up the train set on my bedroom floor. 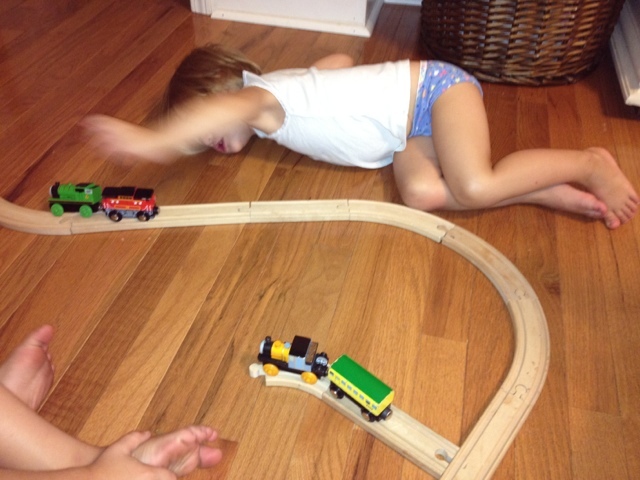 Ever since we rode a train in Ohio Ellie and Reece have been all about trains! Why do my photos not load on the page in the order I choose them? so irritating. So talk about random and switching topics. 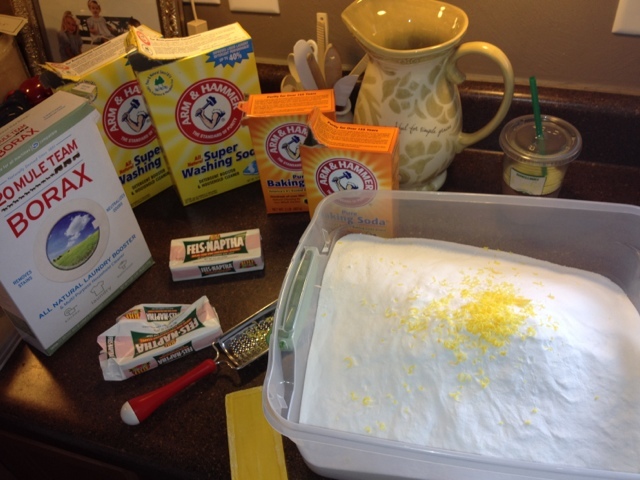 I have started making my own laundry detergent. Reece has pretty sensitive skin so I had been using All free and clear or Mrs Meyers. But quite frankly it is pricey! 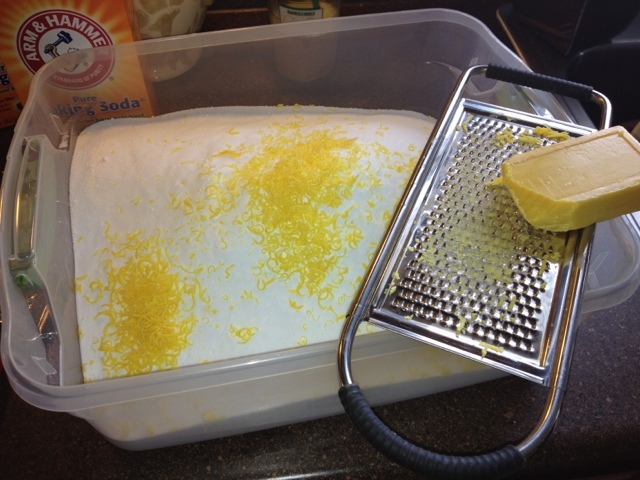 So I came across this recipe on pinterest and LOVE IT! 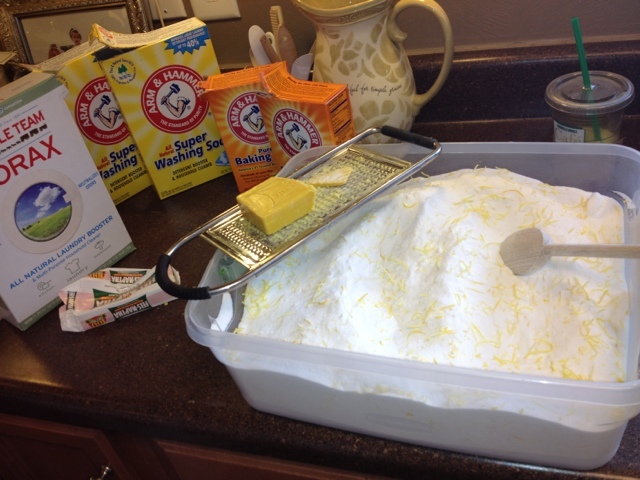 Unlike other detergent recipes I have found, I don't have to buy hard to find ingredients or cook anything! Just dump some boxes and shave the soap and VOILA done! This is me attempting the by hand food grater. 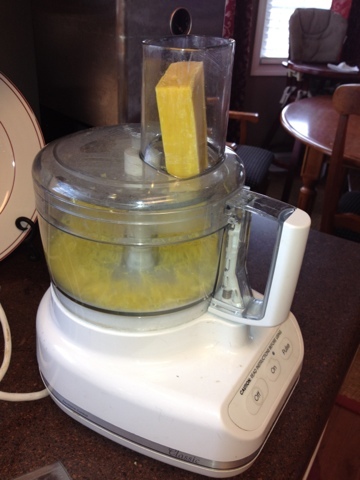 Here is me becoming a genius albeit a delayed genius- and shredding it in the food processor! Done in seconds! The recipe. I did not add in the "options" this time because I am waiting to see if there are any skin reactions before I add in any extras. Random train picture. Seriously how cute is that little hiney and those little toes. All the ingredients. 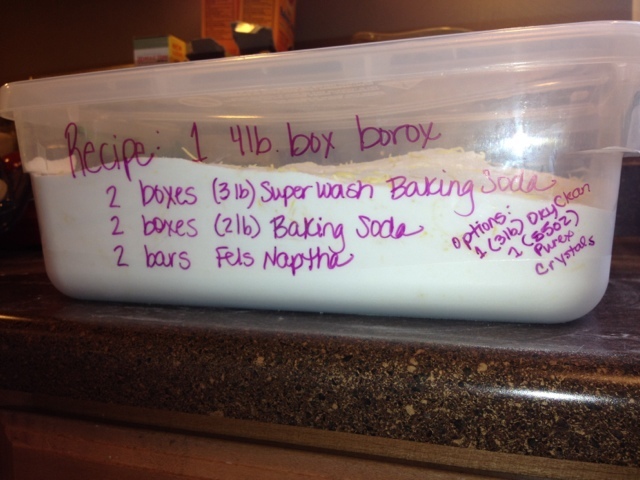 Use 1-2 tablespoons per load. I am working on finding the blog that first posted this and will update. I don't want to take credit for the recipe. Megan, I have done this for years and love how much $ I save by making my own. However, after about 6 or 7 months, my whites started looking kind of dingy. So I made the liquid version from the recipe on the Duggar's family website and haven't had any more trouble.